Stereo Lab is a Macintosh High-Resolution Audio App for music lovers, recording and mastering engineers, audiophiles and record collectors. The many features available in this software package are divided into different operational Modes. All these operational modes are available in the Stereo Lab Audiophile. 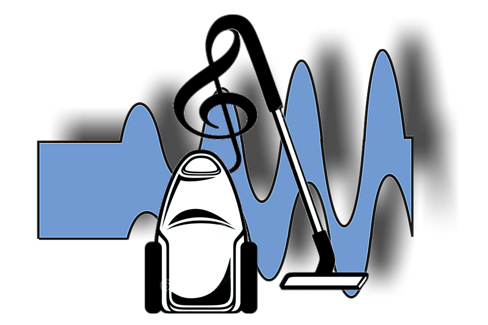 The other software models (Phonograph, Tonmeister and Home) feature different selections of operational modes suitable for more specific duties. To see which model of Stereo Lab best suits you, go here. Each of the Modes is described below. 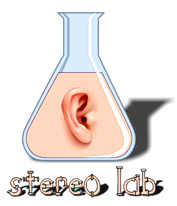 Stereo Lab is a development of Pspatial Audio's previous product Stereo Sauce. Originally a stereo-enhancement program, Stereo Sauce developed over several years and, now with the addition of equalisation and noise-reduction for all shellac-era records, we believed it was time to change the name more correctly to reflect the software's value to collectors, archivists and enthusiasts working with media which might range from phonograph cylinders, to analogue-cassette tape, to high-resolution digital files. 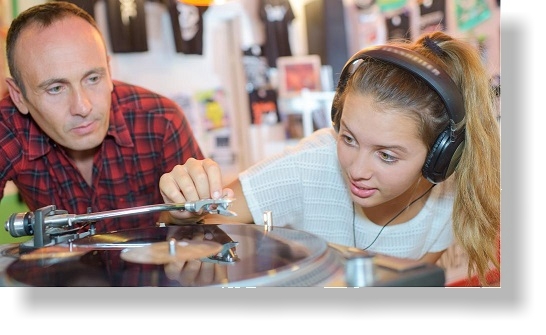 For the vinyl enthusiast, Stereo Lab offers a RIAA Needle-Drop mode. This mode offers a suite of tools for capturing the highest quality needle-drops from modern, LP records. The RIAA is not implemented using the inaccurate equalisation based on FFT filters found in other software. Instead, the RIAA network is performed in a precise emulation of a linear, analogue circuit, just implemented with digital accuracy. Optional rumble-filtering is implemented with a phase-linear filter; in this case, something you could only dream of in analogue domain. In addition, Stereo Lab includes: distortion cancellation algorithms (which compensate for the way the stylus tracks the physical groove) and cartridge-compensation algorithms to compensate for the shortcomings of practical phono cartridges. Stereo Lab Ver. 2 also support half-speed needle-drops and thereby offers the ability to extract the maximum information possible from an LP record. Also included is a unique, world-class "click and pop" filter to reduce the perceptible effects of surface damage. For the record collector, Stereo Lab also includes a Historic Equalisation mode which implements a comprehensive collection of gramophone-record equalisation curves; enabling the correct de-emphasis of 33, 45 and 78 RPM recordings made with EMI 78 (HMV 78 or Blumlein), BSI 33/78, Decca 78, Decca 33, NAB, RCA 45, BBC Transcription, Columbia and AES equalisation. Not only is this level of flexibility only available on very expensive hardware phono preamplifiers, but Pspatial Audio have included the results of their own comprehensive and original research (gained after years of record collection and studio remastering) to offer equalisation curves not found on any other equipment. Stereo Lab also includes a unique de-crackle process intended for this (very annoying!) problem with 78 records. The technique is automatically adaptive and very effective. It is a unique process developed by Pspatial Audio and, unlike so many other, competitive techniques, the crackle-reduction has no effect on the high-frequencies so that the sound is not "dulled" when it is cleaned-up. Further noise reduction may be obtained by employing our unique surface-noise-reduction process called GRAδIENT. Support for older, encoded surround-sound formats is also included with Quadraphonic and Ambisonics decoding to a modern 5.1 system. And support for historic recording isn't just limited to gramophone (phonograph) discs: Stereo Lab can also noise reduce cassette tapes. 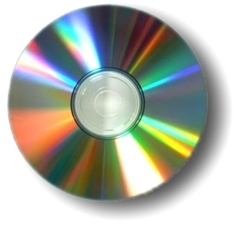 Many CDs for the first ten years of CDs commercial life were recorded with pre-emphasis; especially those produced by Denon in Japan. Unfortunately, some modern CD players do not implement de-emphasis, and the situation with CD rips is even more haphazard. Thus, the music collector is bound to come upon pre-emphasised digital music files from time to time and these need de-emphasis if they aren't to sound very strident and harsh. For these reasons, Stereo Lab includes a CD Equalisations mode in which a very accurate implementation of the CD de-emphasis filter which may be used to correct music files with pre-emphasis applied. Invented as an indispensable part of the stereo system invented by Blumlein and his team, Stereo Shuffling is stereo's long lost "missing link" without which all stereo recordings are "broken". Stereo Lab software includes a Stereo Shuffling mode in which high-quality software emulations of all the various historical Shufflers, including the various FRANCINSTIEN stereo correction systems. The Beyond Shuffling Mode includes FRANCINSTIEN T-Sym which is the culmination of research and refinement of the original FRANCINSTIEN stereo image correction circuit. These stereo correction techniques have been continuously developed since the 1990s and this T-Sym implementation is a third-generation stereo correction process. 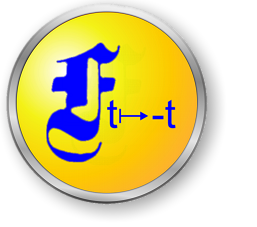 Implemented with non-causal digital filters, the FRANCINSTIEN T-Sym is a time-symmetric, phase-linear process which calculates the complete audio wavefront from the degenerate information in a standard stereo signal. FRANCINSTIEN T-Sym is our flagship stereo enhancement/ correction process and is only available within the Stereo Lab App. For the headphone listener, Stereo Lab offers two processing options. The first is a stereo to binaural conversion technique. Dubbed Head Space the processing involves filtering using head-related transfer functions (HRTFs) and the addition of artificial reverberation. 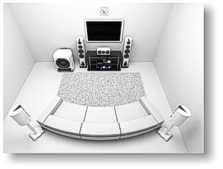 The result, when listening with headphones, is to give the impression of listening to the original audio via real speakers in an ideal listening room (a top recording-studio control-room is the simulated environment). Alternatively, Headphones Mode offers a headphone (2 channel) folddown of the the ARIA surround-sound upmix known as Aria 2.0. 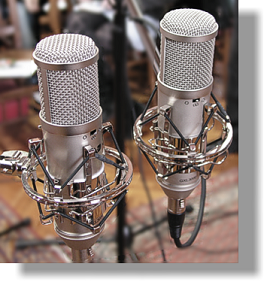 For the studio engineer, Stereo Lab includes a precise emulation of the famous Blumlein-Shuffler circuit which enables near-spaced omnidirectional microphones to be employed to capture pin-point sharp stereo images, and a new enhancement technique for recordings made with coincident cardioid microphones so that no longer suffer from the rather dry low-end which plagues X-Y stereo recordings. Audio engineers over the last few years have been becoming more concerned with a method of measuring and adjusting and/or conforming the loudness of audio programme. Stereo Lab software contains all the signal measurement thereby to assist in normalising audio tracks to a comfortable and well engineered level with similar loudness. Stereo Lab fully implements loudness measurement and adjustment to ITU BS.1770-3 as this is currently the best and most widely accepted method of loudness measurement. Target levels are fully programmable meaning the software has very wide application in television, radio and in mastering and archiving. Many important and beautiful recordings have been made in Stereo UHJ format; including almost the entire catalogue of the excellent UK based Nimbus record company. For this reason, Stereo Lab provides a high-quality decode of Stereo UHJ encoded recordings. Ambisonics theory allows for various types of decoders and five types of decoders are provided in the Stereo Lab software. The first four options are for regular speaker layouts in a square and the fifth is optimised for multichannel replay on a 5.1 surround sound system (to ITU-R BS 775). Stereo Lab software includes several unique processes to recover some of the life from 16-bit digital recordings and make them sound nearer to high-resolution audio replay. An upconversion process, called Hi-Res, enhances the data so that it is up-sampled and the resolution increased to 24 bit to produce an output file with nearly 500 times the resolution of standard 16 bit CD audio. Hi-Res upconversion may be applied to stereo, or to multichannel output files. Additionally, Stereo Lab includes a process called Un-limiting. 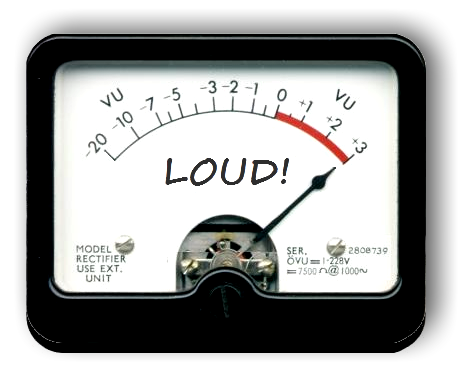 Digital limiting is one of the worst manifestations of the Loudness Wars in which the music industry has become stuck in a degenerative spiral of greater and greater levels of compression and limiting in order to make each track louder than the competition. Pspatial Audio have pioneered a process in which some of the information may be recovered: thereby restoring some of the dynamics of the original track as the artist and producer signed it off. Few serious music collectors do not have a small, but irreplaceable part of their collection on analogue cassette tapes. This fragile medium has withstood the ravages of time rather worse than the LP and well-aligned replay equipment is becoming hard to source. One of the problems with hardware decoding is that, in order to work properly, the audio must be decoded at the correct reference level. This is often not the case in hardware tape recorders - especially with old cassettes; the result being an unacceptable degree of treble-loss when the Dolby NR is engaged. In Stereo Lab, we take advantage of modern digital signal processing to ensure that the audio is first of all normalised so that it is at a reference level and with therefore be decoded properly by an implementation of Dolby-B performed in software. This operational mode also includes an intelligant hum-removal algorithm. Effect Mode includes the Klangumwandler process which spreads a mono sound out across the stereo soundstage by means of frequency dispersive delay. The great advantage of this method is that the signal remains mono compatible which is rarely the case with synthetic stereo. It also incorporates the Groove process which is Pspatial Audio's emulation of vinyl replay mechanisms. Stereo Lab comes with very complete Help files which include all basic operation and extensive theoretical and historical background concerning: Stereo Shuffling and enhancement; Ambisonics and Quadraphonics; phono equalisation; and 5.1 and binaural up-conversion.